Discount ESB Solar Storm 24 Lamp 110v Residential Tanning Bed + Free Shipping! Imagine what it would be like if you could do all the things you do at a salon at home. What if you didn't need to go somewhere and pay someone money to give you facials and massages? You could enjoy all the luxury and relaxation at home. While that may be a fantasy, getting your tan at home doesn't have to be. Since you've made it to our store, you must be on the hunt for a home tanning bed of your own. Won't it be nice having your own tanning bed that you can use on your own time without having to go to the trouble of traveling to a tanning salon? In the UV light of twenty-four lamps, you can tan in 15 to 20 minutes. The Solar Storm 110 V Home Tanning Bed's aluminum frame is coated with a UV resistant coating that protects it from overheating, which in turn protects you from getting burned. When you lie down in this tanning bed, you will get a smooth and even tan. If you would like some additional comforts, you can choose to pay more and get an MP3 music player and cooling fan. These features are fun and can improve your tanning experience, but it's up to you if you want to get them. We're so glad that you have found a tanning bed here at our store, since we can offer you the lowest price that you could get it for anywhere. 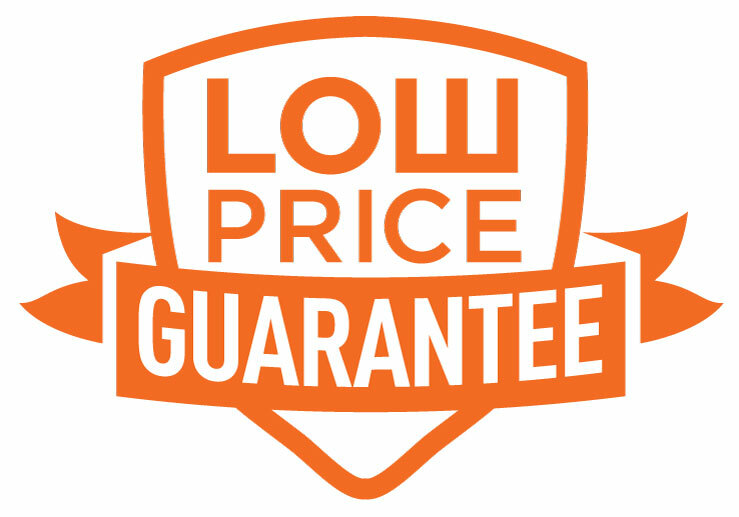 That's our lowest price guarantee. We also take care to protect your personal information and never share it. And should you have further questions about our products or policies, please go here to see our buyer's guide. Overall Size: 83" x 39"
Tunnel design completely surrounds tanners for all-over tanning results in less time. Durable aluminum frame ensures minimal maintenance and a longer life. High-performance acrylic sheets maximize UV light for a faster, darker tan. The ESB Solar Storm 24 Lamp 110v Home tanning bed is designed for indoor use by one person at a time. Maximum Weight limit is 300 lbs. ESB Enterprises disclaims any responsibility for transportation. ESB Enterprises further disclaims any responsibility for injury resulting from the failure of Solar Storm 24 Lamp 110v Home equipment or parts manufactured by ESB Enterprises due to incorrect installation or operation. ESB Enterprises shall not be liable for loss or damages caused either directly or indirectly from the use of the Solar Storm 24 Lamp 110v Home. This limited warranty does not extend to any products which have been damaged as a result of accident, misuse, abuse, or as a result of service or modification by anyone other than an ESB Enterprises representative. This warranty does not apply to any failure of parts or products due to alterations, modifications, misuse, abuse, accidents, improper maintenance, or failure to follow the specified electrical requirements. Such occurrences immediately VOID this warranty. THIS WARRANTY IS EXPRESSLY IN LIEU OF ALL OTHER WARRANTIES, EXPRESSED OR IMPLIED, INCLUDING THE WARRANTIES OF MERCHANTABILITY. No person, firm, or corporation is authorized to assume for us any other liability in connection with the sale of these goods. USE OF THE SOLAR STORM 24 LAMP 110v HOME TANNING BED IN A 110v Home TANNING FACILITY OR FOR PROFESSIONAL AND MEDICAL SERVICES AUTOMATICALLY RESULTS IN THE VOIDING OF ANY AND ALL MANUFACTURERﾒS WARRANTIES! IMPORTANT: Please complete and return the enclosed ESB Warranty Registration card within ten days from the date of purchase to ensure warranty validation. Serial numbers are located on the back of the Solar Storm 24 Lamp 110v Home canopy and bench.